The liftoff is now scheduled for no earlier than Tuesday evening, U.S. time, or Wednesday afternoon in New Zealand. Rocket Lab says the launch window opens at 0100 GMT Wednesday (9 p.m. EDT Tuesday) and extends four hours. The launch window is from 1 p.m. to 5 p.m. Wednesday in New Zealand. Rocket Lab could launch the Electron rocket during the same time period through June 2. High winds kept ground crews from rollout the Electron rocket to the launch pad in time for a launch attempt Sunday, but the conditions improved enough to transfer to the booster to the launch stand for another try Monday, according to Rocket Lab. 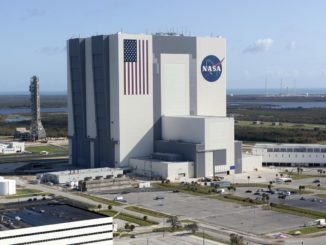 But officials opted to scrub Monday’s attempt due to high clouds over the launch facility, which could have triggered the build-up of static electricity on the rocket as it climbed through the atmosphere. 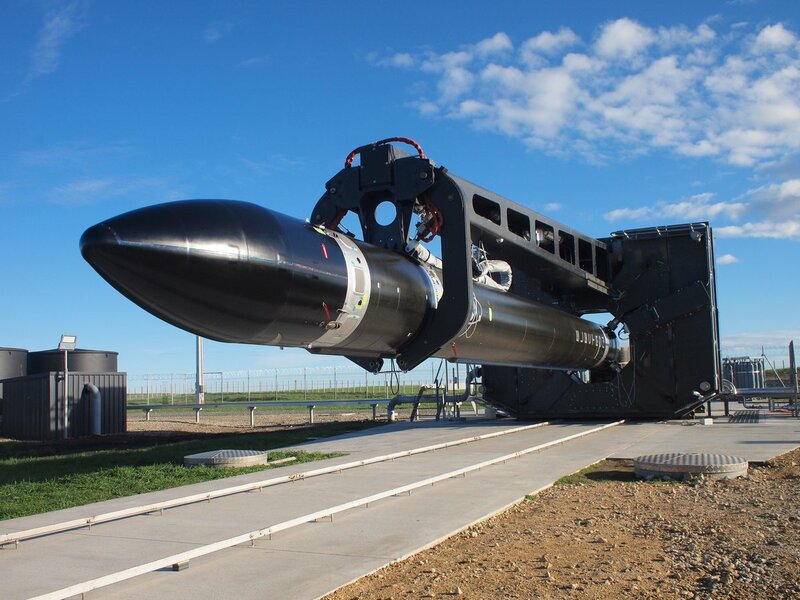 When it takes off, the 55-foot-tall (17-meter) Electron rocket will head south from Rocket Lab’s launch facility, dubbed Launch Complex 1, at Onenui Station on Mahia Peninsula, a spit of land on the east coast of the North Island of New Zealand. Rocket Lab officials said they are looking for optimal weather conditions for the launch, which aims to put an inert payload into polar orbit between 186 miles (300 kilometers) and 310 miles (500 kilometers) above Earth. “Current weather conditions put us at risk of what’s called triboelectrification,” Beck said in a statement released Monday. “This is the build-up of static charge through friction. Established in 2006, Rocket Lab test-launched more than 80 suborbital sounding rockets before focusing on the privately-developed Electron launcher, a vehicle sized to loft small satellites and clusters of CubeSats into low Earth orbit. Rocket Lab is backed by venture capital funds and a strategic investment from Lockheed Martin. The New Zealand Herald reported that country’s government also injected Rocket Lab with $25 million in funding. 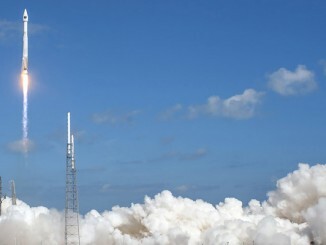 The company says it has raised $148 million to date, and the latest round of venture capital financing valued Rocket Lab at more than $1 billion. Rocket Lab says future Electron missions could take off from NASA’s Kennedy Space Center in Florida and the Pacific Spaceport Complex at Kodiak Island, Alaska. The company plans three test Electron test launches in the coming months before beginning commercial service. Two San Francisco-based CubeSat fleet operators, Planet and Spire, have signed up for multiple Electron missions. NASA also has a nearly $7 million contract with Rocket Lab to deploy several CubeSats into orbit on a single launch for the space agency and U.S. universities. 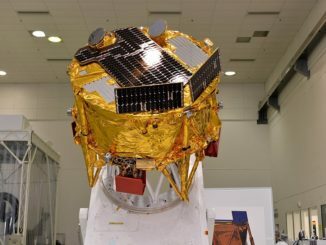 Spaceflight, a Seattle-based company which arranges multi-payload rideshare missions, announced last week the purchase of an Electron flight to deploy multiple small spacecraft into orbit for its customers. Rocket Lab says the two-stage Electron rocket, powered by 10 newly-developed kerosene-fueled Rutherford engines, can place up to 330 pounds (150 kilograms) of payload to a circular sun-synchronous polar orbit 310 miles above Earth. An Electron launch will sell for around $4.9 million in the commercial market, a fraction of the price of a dedicated flight aboard an existing launcher, according to Rocket Lab.